What is Spalding's return policy? 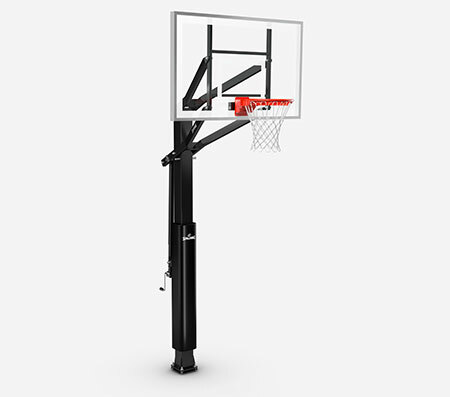 Spalding® guarantees total customer satisfaction with the items you purchase from Spalding.com. If you are not completely satisfied with your online purchase, you may return any item that is in the original condition that it was received from Spalding.com – unused and accompanied by original packaging. You may return items purchased from Spalding.com within 90 days of the original order date. If you have any questions about returning an item, please contact our Customer Service Team at 1-855-253-4533, 8am - 4:30pm, central time, Monday through Friday or email us at SpaldingCustomerService@fotlinc.com. When on Spalding.com, select Returns under Help/FAQ, enter your Spalding.com order number, email address and billing zip code. This must be the email address and billing zip code that you used when placing your original order. You can also log into your Spalding.com account and initiate a return from the My Account page. 1. Select the item(s) you wish to return and follow the steps to print the prepaid return shipping label..
2. Repackage the returned items in either the original shipping bag or packaging of your choice (make sure there are no other labels on it), and apply the shipping label. 3. Drop in your mailbox or take to the nearest USPS or FedEx location. If you have any questions, please contact our Consumer Services Department via email at SpaldingCustomerService@fotlinc.com or by calling toll free at 1-855-253-4533 (M-F, 8-4:30 CT). How can I return a system? Systems in "new condition" may be returned to us within 90 days of placing an order. Systems must be unused, unassembled and contain all original product packaging and accessories. All returns will be charged the cost of return shipping plus a 15% restocking fee. 1.Securely package and protect item(s) to prevent damage during return shipping. 2.Include all paperwork, instructions, parts and accessories. 3.Call our Customer Service Team at +1 (855) 253-4533 for assistance with your return. 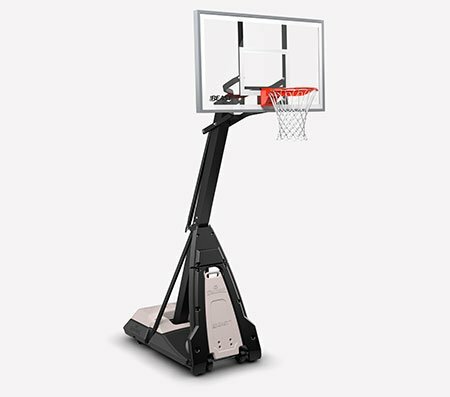 We offer Free returns on all items (except for Basketball Systems and CarbonTek Shoulder Pads) when you use the prepaid return shipping label that you print from Spalding.com. We only accept returns for items purchased from Spalding.com. If the items were purchased elsewhere, please contact that retailer to complete your return. If you have a defective product, we want to hear about it. Please contact our Consumer Services Department via email at SpaldingCustomerService@fotlinc.com or by calling toll free at 1-855-253-4533 (M-F, 8-4:30 CT). I'm from outside of the United States. How can I exchange or return merchandise? You will need to contact the retailer or distributor from which you purchased the product. If you have any additional questions, please contact our Consumer Services Department via email at SpaldingCustomerService@fotlinc.com or by calling toll free at 1-855-253-4533 (M-F, 8-4:30 CT). 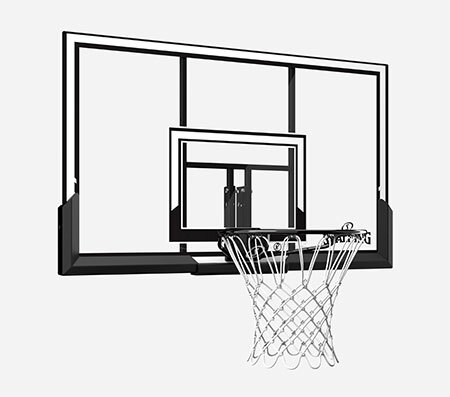 What if my Basketball System is damaged? Please open and inspect your items immediately upon arrival. You will have 10 days from the day you receive your order to make claims for any item damaged during shipping. After this time period, claims for damage incurred during shipment may be denied. For assistance with your claim, please contact our Consumer Services Department via email at SpaldingCustomerService@fotlinc.com or by calling toll free at 1-855-253-4533 (M-F, 8-4:30 CT). All returns or exchanges of CarbonTek® products must be made within thirty (90) days from the date of shipment, product must be in new condition, and cannot have been worn or used in play. Products from our online catalog being returned for size exchange or warranty review will not have a restocking fee applied, however product being returned for credit will incur a 25% restocking fee. Except for warranty claims related to defects in materials or workmanship, no returns or exchanges will be accepted for custom products. NO EXCEPTIONS WILL BE MADE.